From the 1st to the 15th of Ramadan, we gave you the chance to share inspiring stories of how you’re staying productive in Ramadan. What came in though, is what we did not expect. We were amazed at how incredibly productive our ummah is being all over the world and are truly honored to feature your stories! Here are the stories that have made it to our top picks. Let’s start with the story of a very ‘special’ Muslim in Malaysia: a true example of sincerity, determination and perseverance against all odds! This is a truly remarkable story for this year’s Ramadan. This story is not about me, but about my special little sister, Aisyah. By special, I mean unlike all of us, my sister was gifted with an extra chromosome (she was born with Down Syndrome). My family and I are truly blessed by this wonderful gift by Allah . A special child who enlightens our life, brightens up our days and never fails to put a smile on our faces every single day. My mother taught Aisyah how to fast from a young age of about 8-9 years. From half a day of fasting during her first Ramadan, to quarter of a day up until now when she is all grown up, she can fast for a whole day without whining or complaining ma sha Allah! My mother never forced her to do so, but just did so to teach her that by fasting we could feel what the poor feel when they have nothing to eat, how armies back in our Prophet Muhammad’s days had to fast, and also to develop patience. Alhamdulillah my sister can speak, read, eat, wash her clothes, help us do house chores over the weekend, and the list goes on. Never in my mind did it occur to me that my little sister could do so many things that we normally do, despite her disabilities. This year is so special for her and all of us because when she was born and diagnosed with Down Syndrome, the doctor told us that she could not live for more than 10 years. Alhamdulillah this July 4th marked her 20th birthday! We just moved into a new house and on the second day of Ramadan, I asked my father if we could go to a nearby mosque since my mother was not very well. So, as part of our tradition, all of us went to the mosque for taraweeh prayer, including my special little sister. Little did we know that at this mosque, they actually performed 20 rakah of taraweeh prayer instead of eight which we normally did at the mosque near our old house. My biggest concern was if my mother could perform the 20 rakah of prayer in her condition and if my little sister could too. In my heart, I prayed that we could try to finish it, in sha Allah. Alhamdulillah, it was the first time for all of us to perform Isha prayer, 20 rakah of taraweeh prayers with 3 rakah of witr prayer too. My parents were shocked that my little sister could cope with it, although the imam was quite fast. This was truly a wake up call to me and my other sisters as now our little sister, Aisyah can fast and perform her prayers well. As normal persons without any difficulties and no physical disabilities, why can’t we be persistent, determined and sincere in doing our ibadah? Thank you Allah for this wonderful gift. Thank you Aisyah for being a great little sister. We are now approaching the last third of Ramadan. May all of us be persistent in hoping, praying and trying to be better Muslims, aameen! This year for Ramadan, I am working on doing one good deed a day with my 2.5-year-old toddler. It’s never too early to practice rewarding habits! We set out to greet our non-Muslim neighbors with flowers, chocolates and a note describing Ramadan. My son helped in counting and distributing the chocolates equally and adding water to the plants, which we presented in a mug. When our neighbors opened their doors, we informed them that we wanted to celebrate this joyous holy month with those who lived closest to us. I honestly thought that they would just think the gift was cute and call it a day. However, as I was describing what Ramadan is about and presenting the gift to one of my neighbors, she stopped me and told me she’s getting chills by just how touching all of this is. 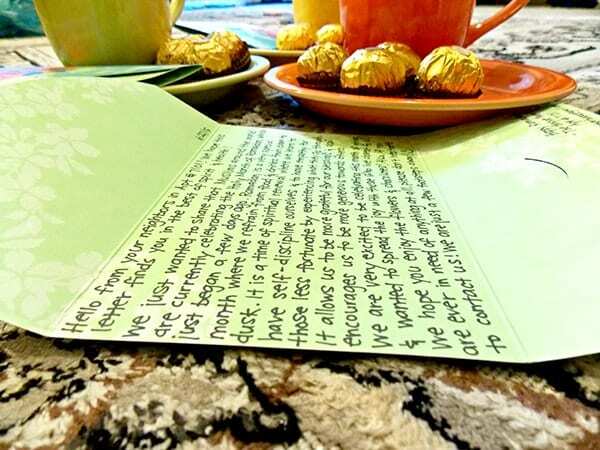 She was extremely appreciative and this small and simple act of kindness not only brightened her day, but also taught her a bit about Islam! Don’t be shy in taking the initiative to meet your neighbors. They have a lot of rights over us in accordance to our religion, no matter what their religion might be! To see other activities toddlers can take part in during Ramadan, you can check out my list here. Sitting at Jumuah prayer in the summer of 2014, listening to the announcements after prayer, I heard this proclaimed proudly. 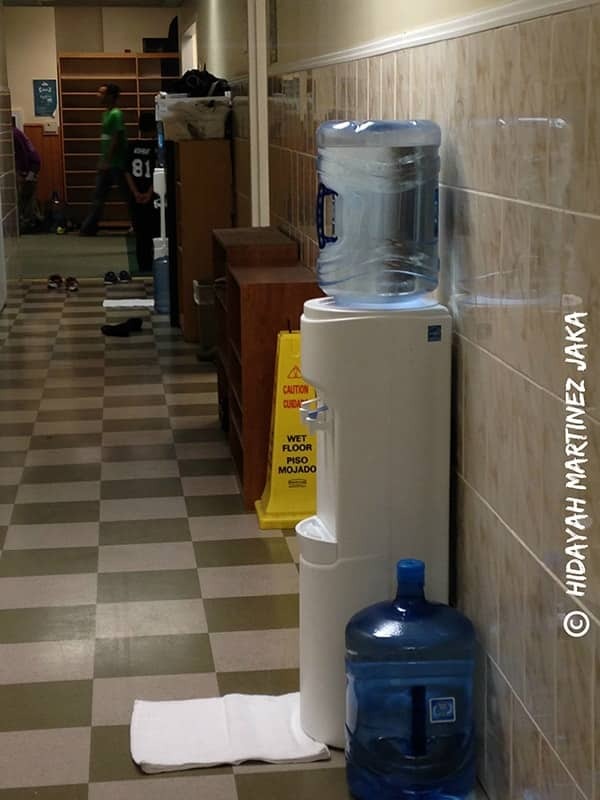 Although a testament to the amount of worshippers coming to ADAMS mosque in Ramadan, using so many plastic, disposable bottles isn’t something to be proud of. So what to do? Enter the ADAMS Green Team: ADAMS’ official environmental task force dedicated to helping the community become green in every aspect of our lives – to be khalifahs of the Earth. Founded by myself (a youth), and two dedicated members of the community, we set out to change Ramadan. We brainstormed a plan for reusable water bottles and easy refilling: banishing slow-to-break-down, polluting, disposable plastic water bottles. After numerous enthusiastic meetings with the president, executive board and committee and khateebs of the mosque, we gained eager support for the initiative. 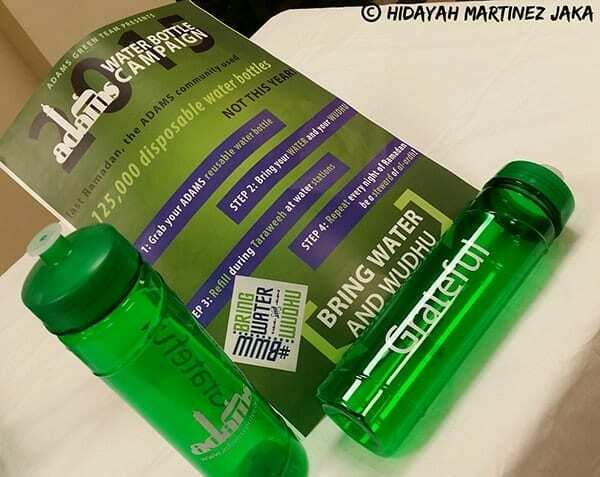 Announcements began saying “Bring water and wudhu this Ramadan!”, posters were printed (as few as possible to get the word out — no mass flier distribution! 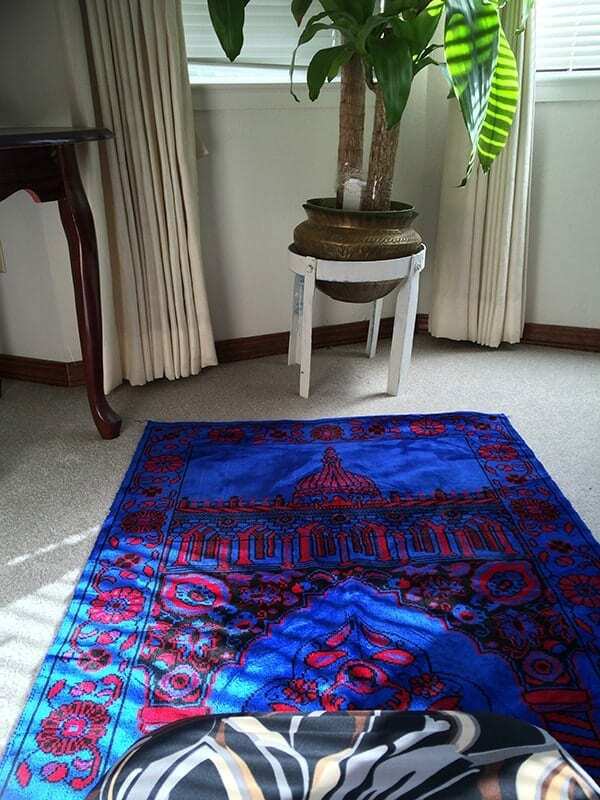 ), and khutbas were made about being khalifahs of our beautiful planet. So what does ‘Bring Water & Wudhu’ mean? The name of the game is our project to make Ramadan green. 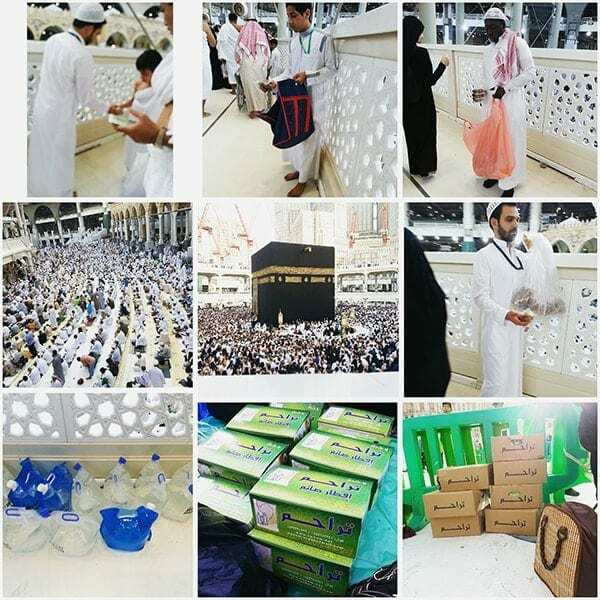 Just like you bring wudhu when you come to pray at the masjid so that bathrooms are not overloaded, you bring your water in a reusable bottle filled to drink at iftar. And how does this work? 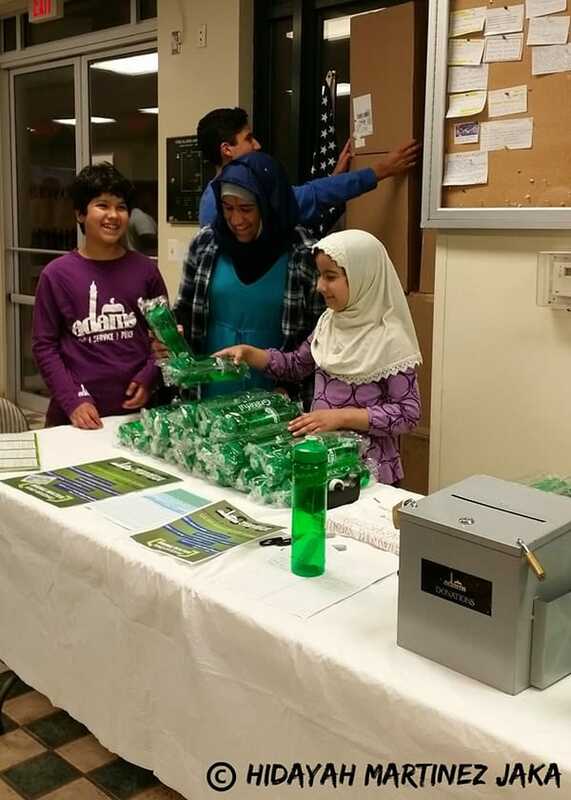 We, the ADAMS Green Team (partnered with the ADAMS Ramadan Team) purchased custom, reusable, BPA-free water bottles with the ADAMS logo to give out with a suggested donation during the first week of Ramadan. 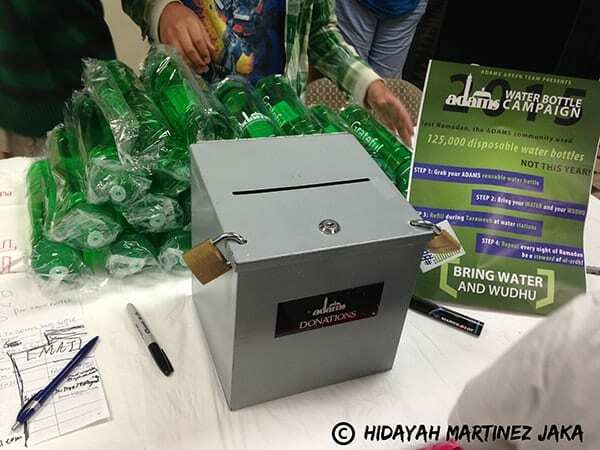 Each night, new people came enthusiastically to acquire a bottle and take part in an environmentally friendly and spiritually fulfilling Ramadan! Everyone who had already picked up a bottle or brought their own came with it to use all evening and at night. Anyone who forgot their bottle used small eco-friendly cups to drink water. For iftar, we set up orange coolers with ice-cold water for people to refill their bottles. All over ADAMS, we and fellow volunteers placed office-style dispensers for easy refilling. No disposable bottles have been handed out whatsoever. How many slow-to-break-down, polluting, disposable plastic water bottles this Ramadan? 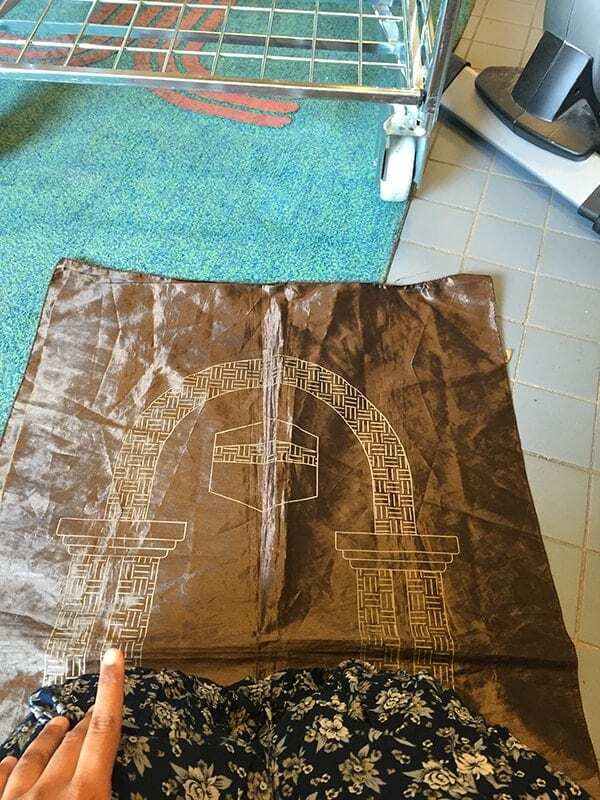 ZERO, Alhamdulillah! Changing how we as Muslims interact with our planet in the most holy month of the year is something that resonates with me. I hope the green-minded atmosphere at ADAMS will seep into the community members’ everyday lives. InshaAllah, more mosques will jump on board the Green Masjid Train and become as green as possible in their own ways and not just during Ramadan! Ramadan is not easy for so many Muslims for so many reasons: yet they push on and prioritize prayer come what may, mashaAllah! This Ramadan, my goal is very simple: revive the basics. My life has been so busy recently as a working Muslimah. As a resident physician, the time I have for sleeping, eating and even using the restroom is sparse. Undoubtedly, my basic ibadah has suffered accordingly. So, this Ramadan, it is time to go back to the basics. Bismillah! Praying in the washing room at work! Hard to find places but it’s important to me to get my priorities right! I have been a professional fundraiser for the past two and a half years and this Ramadan I am taking advantage of that, Alhamdulillah. Everyday from 11:00am to 7:00pm I will be following up with potential donors full-time on the phone and inspiring them to donate for various different charities persistently for the sake of Allah . 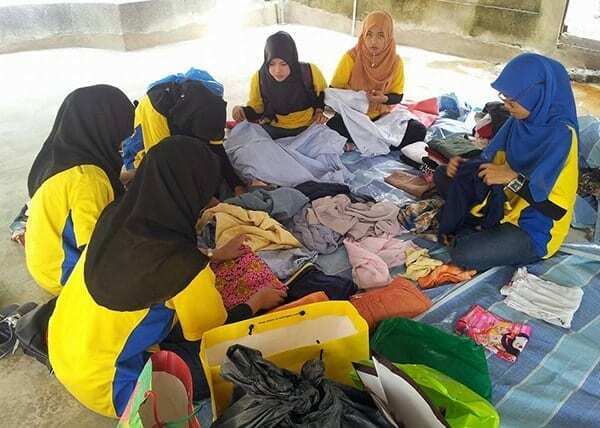 D’Hati MikroE is an annual Corporate Social Responsiblity (CSR) initiative organized by our School of Microelctronic Engineering, Universiti Malaysia Perlis every Ramadan. 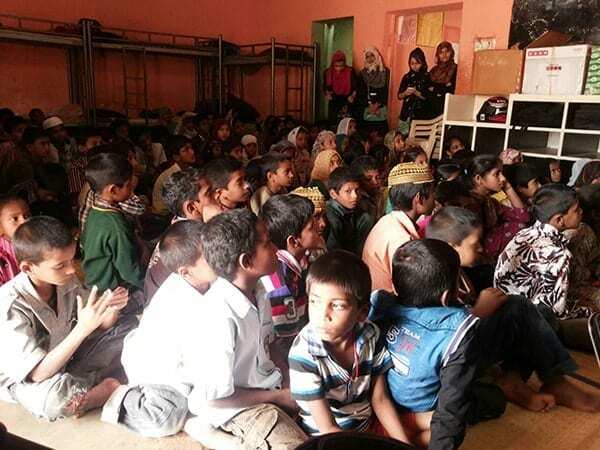 This Ramadan, in addition to visiting nursing homes, organizing iftar with orphans and delivering donations to disabled people and zakat, we visited and organized activities at Baitul Rahmah Rohingya Learning Centre – a school for Rohingyan refugees which just opened on 4th May 2015. Collections have been made to buy stationeries, books etc for these Rohingyan children. Did you imagine there’d be a Muslim woman out there planning and executing a campaign to help barefooted people get a pair of free shoes this Ramadan? We didn’t either! Here’s her inspiring story! Imagine if no one in the United Shoes had shoes. That’s how many people around the world that don’t … nearly 300 million. For many of these people, this means no school or work, no escape from poverty or illness, and no hope for the future… simply because they can’t walk safely. 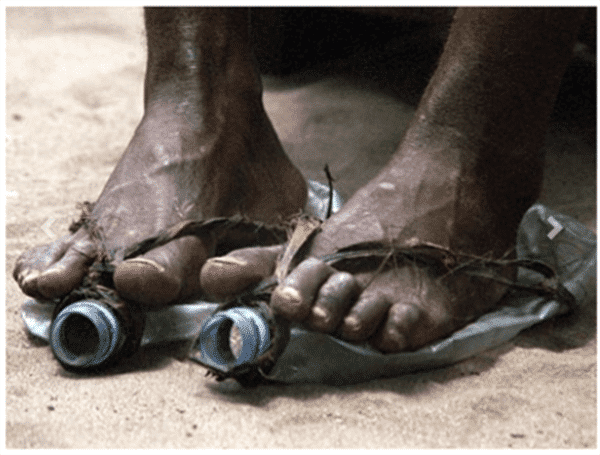 Most of us here are privileged to own a pair of shoes and don’t understand how difficult life is without them. The reality of life for many individuals is that owning a pair of shoes is rare. In too many places around the world, it’s common for people to grow up without ever having had a pair of shoes at all. This Ramadan, I wanted to change that. 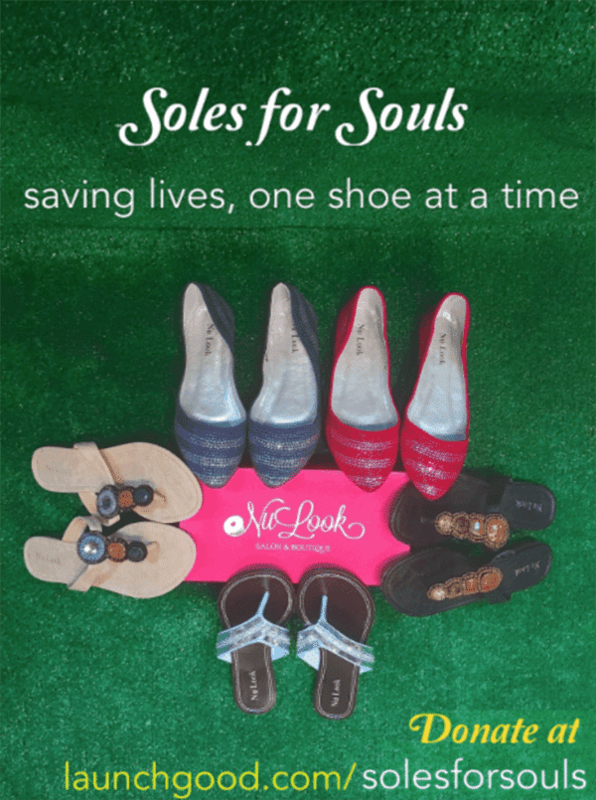 I created a crowdfunding campaign called ‘Soles for Souls‘ on LaunchGood to help transform lives by donating brand new shoes to the people who need it most around the world. Nu Look Salon & Boutique, my family’s 15-year fashion business, is donating brand new shoes. 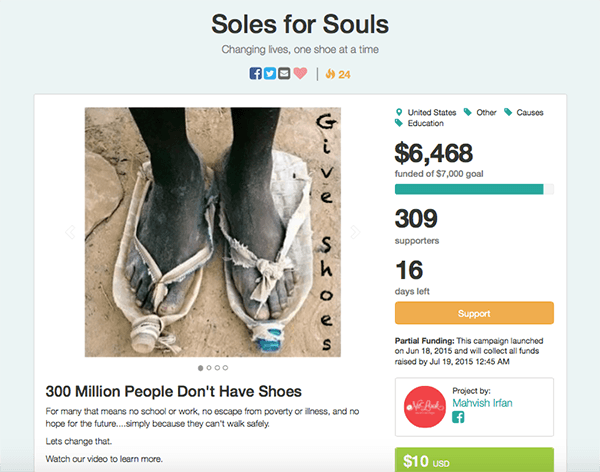 Soles4Souls, a nonprofit organization, will ship the shoes out internationally and give them to people in need absolutely free. For as little as $10, we are creating one serious, generational change. Within ten days of starting our campaign on LaunchGood, we were 101% funded. Over $5,000 was raised to donate over 500 shoes. After being 101% funded, I thought to myself, why put a limit? Immediately, I stretched the goal from $5K (over 500 shoes) to $7K (over 700 shoes). In just a few days, we’ve almost reached our second goal. 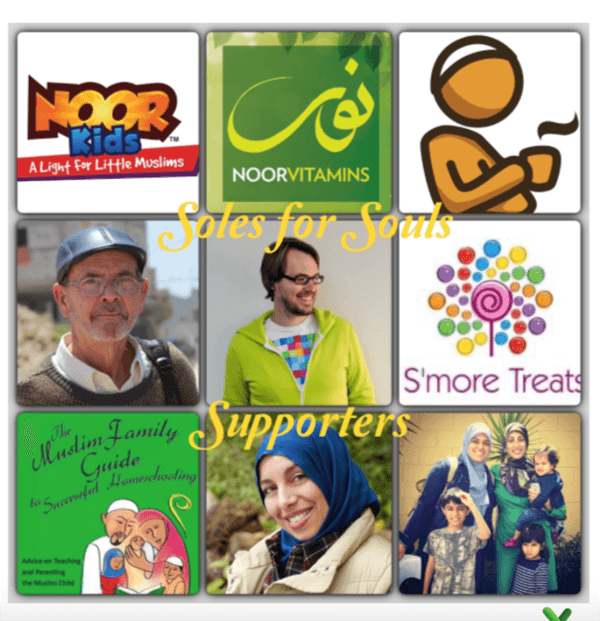 Not only that, Soles for Souls has gained incredible supporters including Noor Kids, Noor Vitamins, Peter Gould, Yvonne Maffei – even Productive Muslim and more! The support is only growing and guess what? I won’t stop even after achieving our second goal. With the power of sincere teamwork and prayer, the Soles for Souls campaign can donate almost 1,400 brand new pairs of shoes to people in need everywhere. I’m absolutely confident we can achieve our 100% funded goal again with enough outreach and support. Lets do it! At The House of Allah, you’ll never stay hungry or feel left out! Alhamdulillah, He honored me to be His guest in this holy month. It was an incredible experience Alhamdulillah. I had goosebumps each time I saw someone do something to serve the guests of Allah . 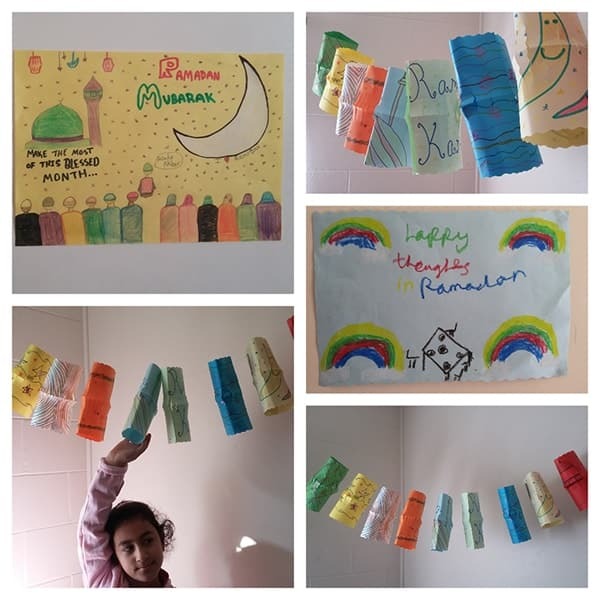 My older sister and I wanted to do something to get our little 8-year-old sister excited about Ramadan and create a Ramadan atmosphere at home. So we decided to decorate the house and made lanterns and posters and stuck them all around the house. It was a lot of fun and also gave us lots of enthusiasm for Ramadan. We have turned it into one of our Ramadan traditions to help kick-start our month positively and get into the Ramadan spirit. Have a blessed month, In sha Allah! While we sat at lavish iftar spreads, a broken family in Bosnia had nothing but a blanket to their name this Ramadan. Here’s how one brother’s sincere concern for this family turned their situation around in days, SubhanAllah! This is a story about a family (a mother, a son and a daughter) from Bosnia and Herzegovina who who went through traumatic domestic abuse for a couple of years until they ended up on the street. They had nothing to eat, no clothes, nothing except a blanket. And they were living under the open skies being hit by the rain storms and strong winds, for quite a while. One day a friend of mine who lived in the same town as this family shared a picture of this family living on a blanket on the street, having no roof to keep them dry and warm, nor any food to eat. She wrote that the family needed help and that they have been living like this for quite a long time and nobody was taking care of them except for a few good people who were bringing them some food to keep them alive. Personally, I know very well what it means to have nothing, and Ramadan reminds us what it feels like to be hungry. I decided to organise a humanitarian action and see if we can collect some food and clothes for the family as a first step and hopefully in the long run find them a new home to move them away from the street. I collected some more information about the family from my friend and wrote a story which I published via social media. 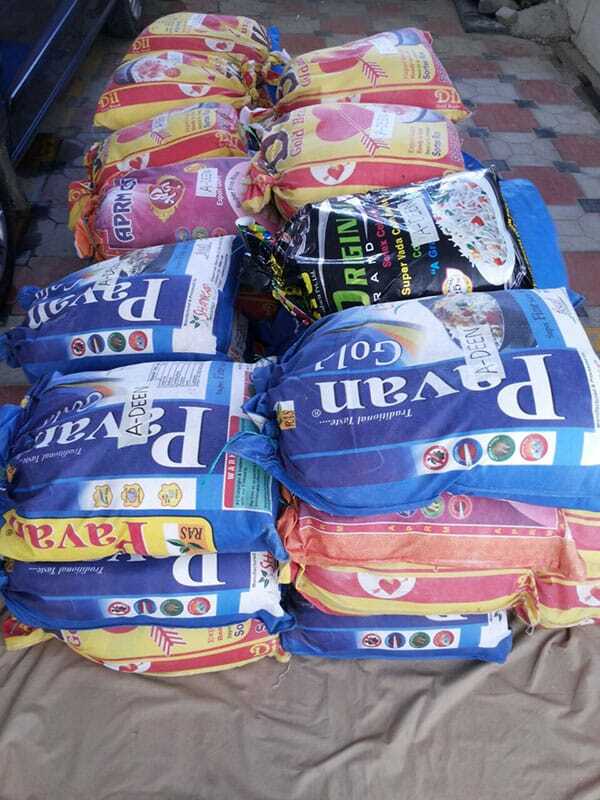 Then I contacted some of my Muslim friends directly, informed them about the humanitarian action and reminded them that it’s our duty as Muslims to help those in need, especially during the month of Ramadan. They accepted my invitation without a moment of hesitation and also shared the story. People started reaching out to me asking how they could donate money for the family. The next day we had almost 150 euros of donated money for the family. And this was gathered from only a few donors. I prayed to Allah to help us find them a home, and move them away from the abuse they suffered at the hands of an alcoholic. And by Allah, the miracle happened! Not only did we manage to collect another 1300 US dollars of donations which came all the way from the United States, but we also got a phone call from a Bosnian Muslim woman living in the United States and she said that she owned a flat in a town 20 miles away from the town where this family lived and that she would like to put it at their disposal, so that they can live in the flat for free for as long as they needed. We organized transportation, prepared some food and other basic stuff and the next day we moved the family from the street to their new home. Now, both of the kids have their own room, they are all safe, fed and warm. The next task on our to-do list is to check what can be done to get the kids back to school. The kids are 17 and 16 years old, but neither of them finished primary school. Yet, many of us who live good lives take things like primary education for granted. We already got contacted by a teacher from one high school in the town where they now live saying that the kids can finish high school for free, but we need to take care of the primary school first. We plan to meet the town mayor to see what can be done regarding their education. 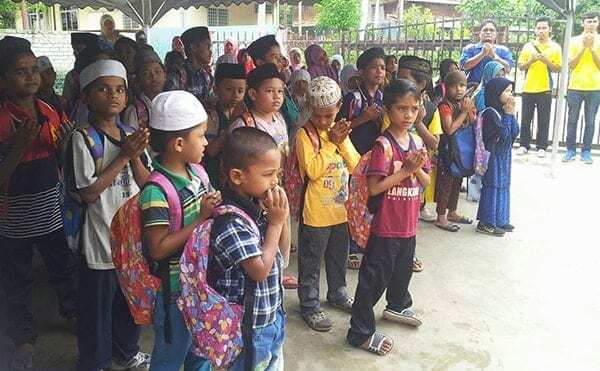 We don’t want to just give them a fish and feed them for a day, but rather teach them how to fish and feed themselves for the rest of their lives, inshaAllah. 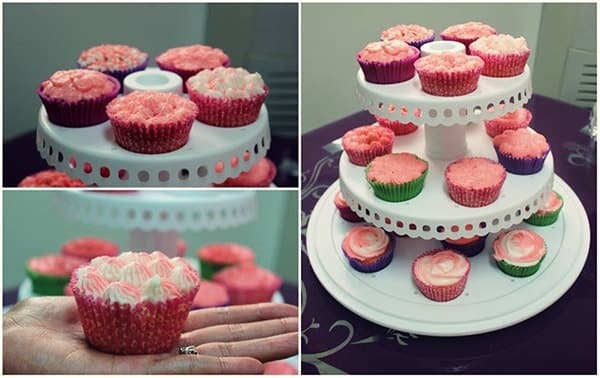 Here’s another young super-productive Muslimah, mashaAllah! 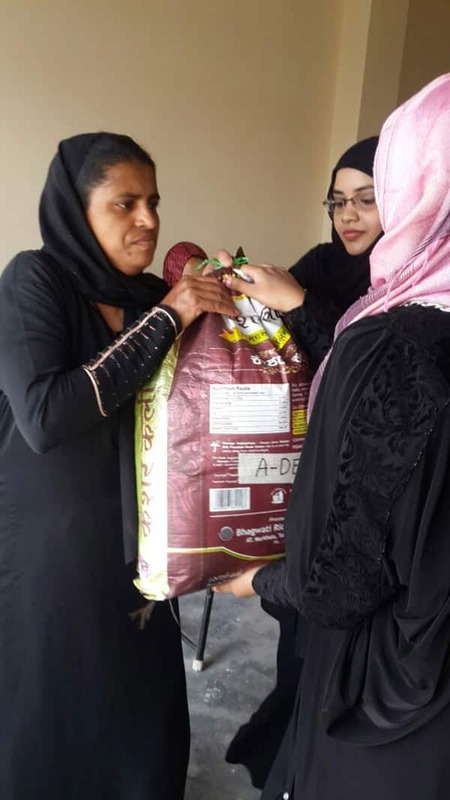 From creating systems to track her habits and progress, creatively motivating her family and friends, increasing in knowledge, collecting sadaqah, improving her khushu’, bonding with the neighbors and doing da’wah: she’s been on top of the Ramadan game, mashaAllah! 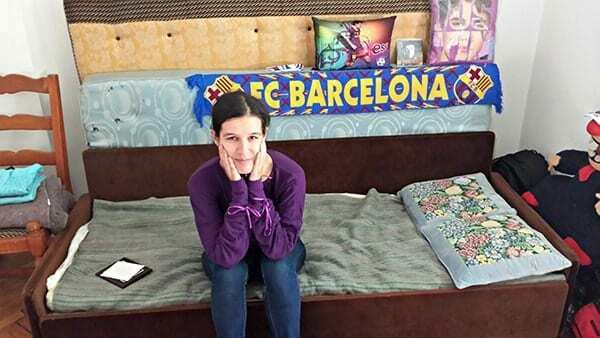 Living in Qatar and being a girl makes it almost impossible to do a lot of social activities. So, my story concentrates on a few spiritual and some social activities that I am following this Ramadan. Well, I printed out a few worksheets from Productive Muslim, as well as others I got from alhuda.com. 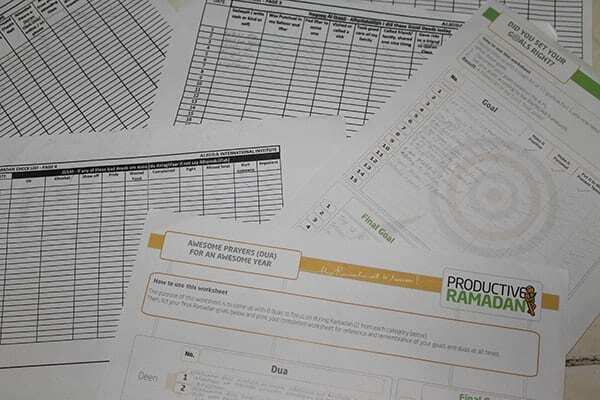 They provide me with a timetable to organize my day and the activities I do throughout the days and nights of Ramadan. I have other worksheets for dua, my goals and a ‘negative chart’ where I mark what I did wrong. 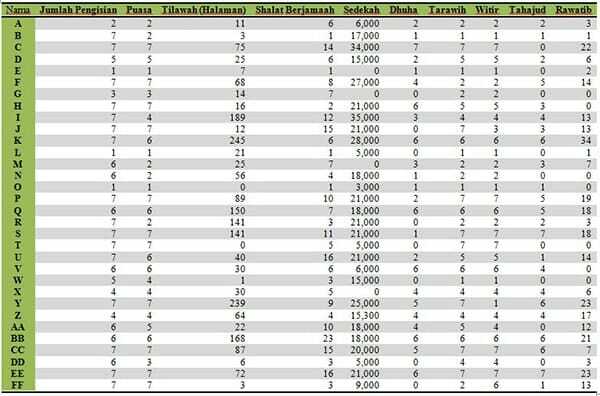 Being guilt-conscious as a result of that chart makes it more and more unlikely for me to do bad deeds, Alhamdulilah. I started working on this magazine since last year. Unfortunately due to lack of contributions, I couldn’t complete it. 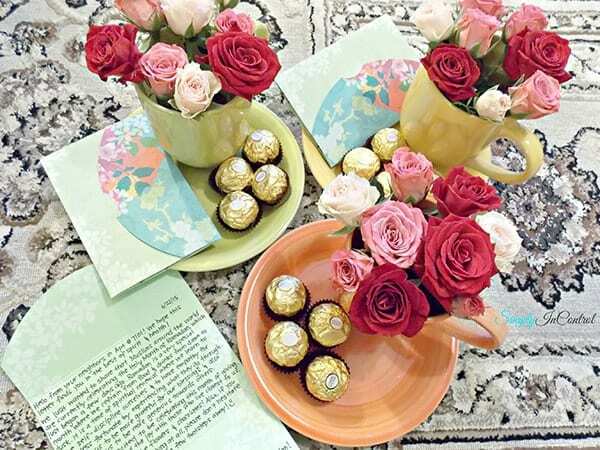 But whatever materials have been collected for the magazine would be discussed among our friend circles whenever we meet during iftar gatherings and so on. It has a few tips and doodles that I collected from Productive Muslim and some which I made myself. Being all girls in our house with only our dad, we hardly go out. 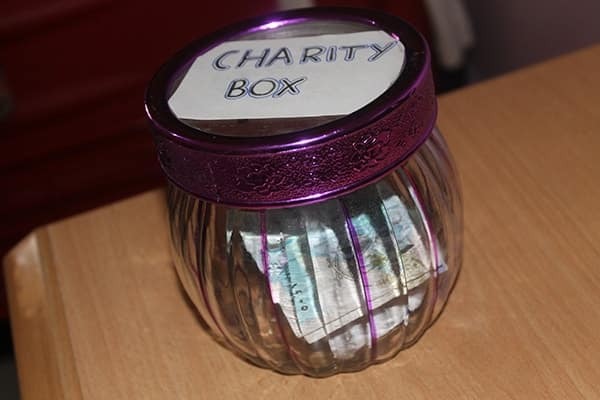 So we decided to collect charity within our own house. We would put a minimum of 2 riyals in the box each day. I make envelopes each day with hadiths, ayahs and duas that I learned from Ramadan Legacy app and stick it on the wall. 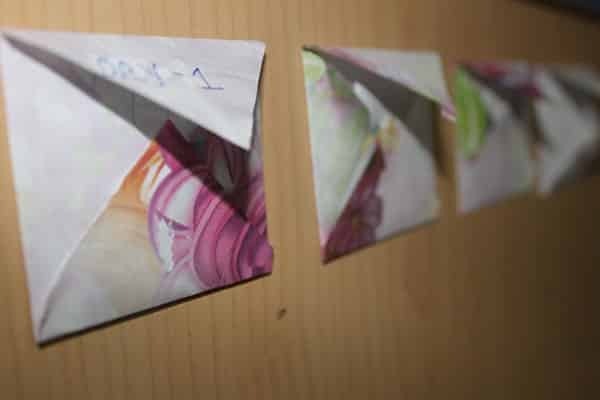 Each day I would make one envelope and hang it up where visible for my family members and friends who come to my house for iftar to read. 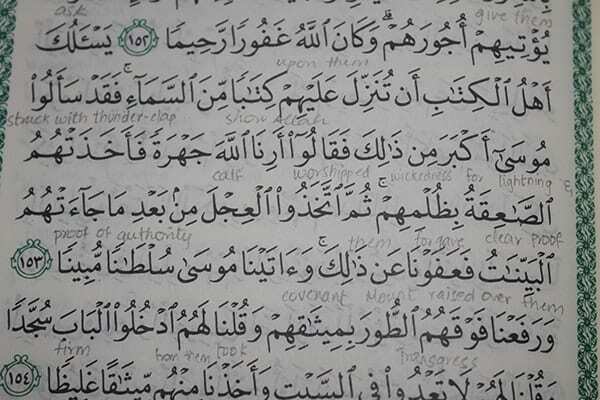 Not knowing Arabic makes it difficult for me to concentrate in the taraweeh prayers. So, every night at taraweeh I would note down where the imam has stopped, and when I go home I would read what he is to read the following day and write the translation of a few words I don’t understand so that when he recites the next day I would have more concentration and khushu’. During taraweeh, I would hold my Qur’an with me to help me understand the meanings of what is being recited as I am not a hafidh yet. Being a student, I have a wide circle of friends who don’t take Ramadan seriously. So, I decided to create an email for all my friends where each one would share tips and experiences so that we can all have a productive Ramadan. We also decided to have weekly tests/discussions on particular topics that we prepare for. 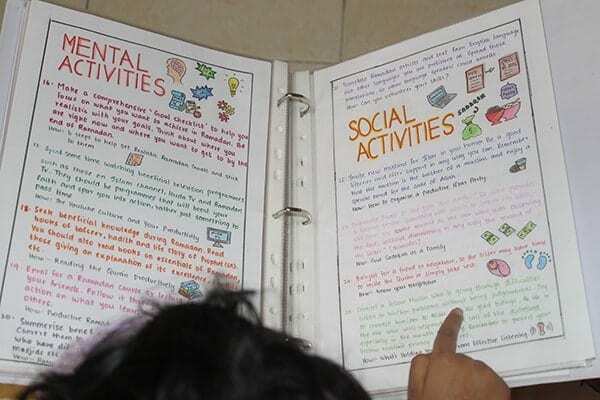 These topics or assignments could also be in the form of posters or info-graphics. For example, stories of prophets. We are headed into summer vacation where everyone is most likely to waste time sleeping or getting distracted in worldly matters. So I thought it’s a good way of using time. Ramadan being the month in which Qur’an was revealed, it is important that we establish a strong connection with the Qur’an at least in this month. Not just aiming to finish it and then put it back on our shelves, but to understand each ayah and to put it into practice in our daily life. When we would have gatherings, the day before each one would be informed to collect reflections, tafasir of small surahs which they like and would be asked to share it the next day. Each of us would listen to Islamic lectures, read books and so on at least for the sake of others indirectly gaining hasanat. ‘Quran weekly’ and ‘free Quran Education’ on YouTube have been of a lot of help to me personally. I would sometimes just share it with my sisters, my mom and dad. 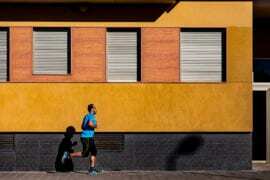 Living in flats, we are most likely to be surrounded by at least 10 houses. Unfortunately we didn’t even know some of our neighbors due to the busy lifestyle in the Middle East. Well, that’s all I had to share with all of my brothers and sisters out there. Hope many of you will benefit, in sha Allah! 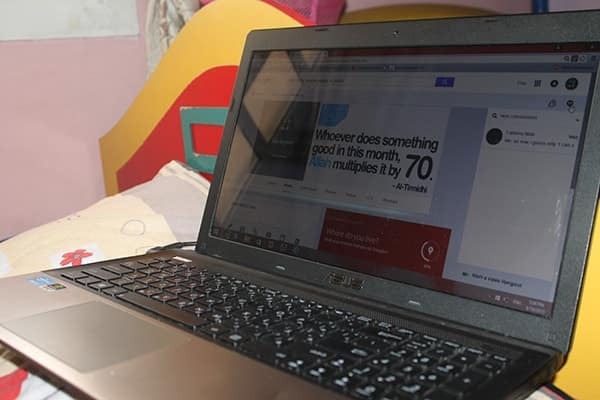 How did a group of amazing productive Muslims in Indonesia use Whatsapp and Google Docs to record, track and keep stepping up their performance in Ramadan? Check it out! Ramadan is always a special month for every Muslim, and especially for me! This year is the second year that I’m spending Ramadan at my workplace. Due to long working hours and a high work-load, sometimes I felt it would become difficult to stay sane and spiritual. This year, however, my friend from the Swayanaka Indonesia Foundation initiated a Ramadan group on Whatsapp. This group was created with the spirit to make this Ramadan our best ever! The group makes everything we do during Ramadan measurable, so we can improve our capacity and performance. Besides that, it also allowed us to make new friends who we can race with in doing good deeds for the sake of Allah ). So, what do we do in this group? Google docs to record our daily activities so we can follow up on our progress everyday. 1. Brotherhood and sisterhood: every 2-3 individuals should look after one another, when one of the sisters/brothers lowers his/her performance during Ramadan, another sister/brother provides support and motivation. 2. 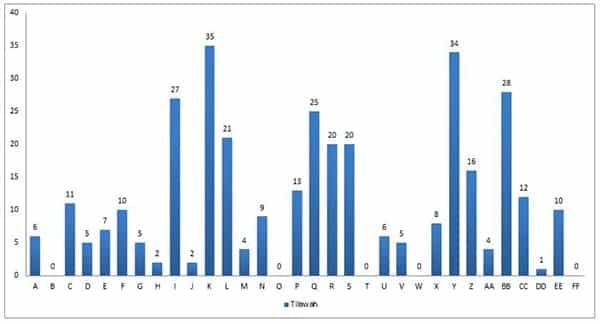 Recap report by a coordinator every 7 days: This report shows everyone their weekly progress. Going through it makes us more conscious of our performance and uplifts our spirit, so we don’t lose out on making the most of our Ramadan! Ramadan has always been a life changing experience for Muslims for centuries all over the world. 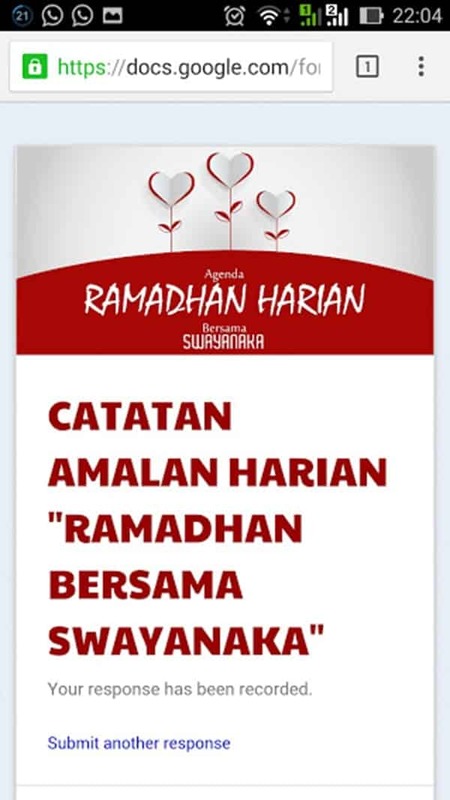 A launch pad for positive change, Ramadan is that time of the year when even the most “non-practicing” Muslim is inspired to fix their prayers, to read Qur’an, to raise their hands in dua, to give sadaqah, etc. It’s a new beginning, an opportunity to go that extra mile, no matter where we stand in our journey towards Allah . 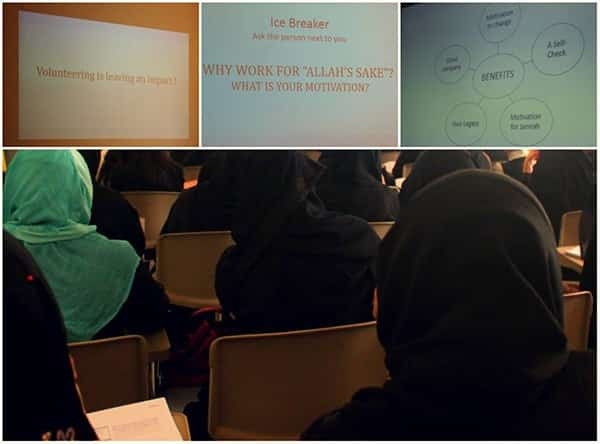 So we, a youth group based in Riyadh, Saudi Arabia, decided to make the most of the barakah of Ramadan and organize a one-day workshop to help guide young girls who want to utilize their time and talents productively for His sake. Alhumdulilah we started brainstorming a month before the scheduled date, two weeks later the proposal was approved by the board of directors and bam! Our Facebook group was exploding with shoura (consultation) sessions, ideas, task lists, design templates etc. 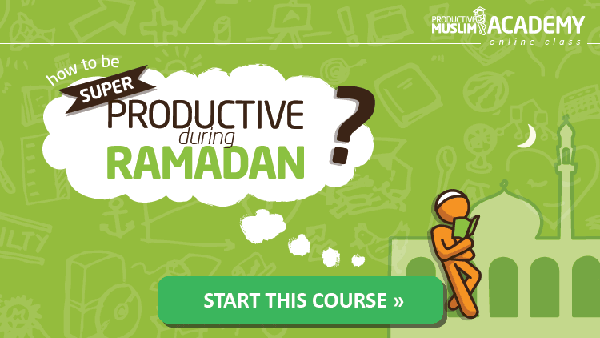 What benefited us immensely whilst structuring the course content was this 3 part series published by a dear friend Sameera Hameed on Productive Muslim. What was even better was the fact that she was in town and willing to help us take this forward! The workshop was divided into four segments: we started off by engaging the audience in discovering their purpose and potential, then focused on the work ethics and attitude we must exhibit whilst working for the sake of Allah , the third segment detailed the A-Z’s of event management and lastly we addressed the challenges and benefits of volunteering for the sake of Allah . 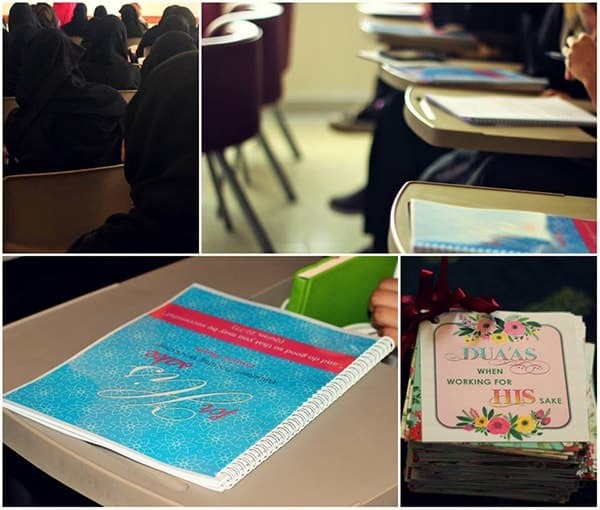 Each participant was given a course book, a dua booklet specifically designed for those working in the path of Allah , and a volunteer personality quiz to help them identify what role suits them best. With a total of 63 participants, 22 volunteers, and 4 instructors, Alhumdulillah the 26th of June 2015 was the most productive day for us as a team this Ramadan! We realized how much potential we have as Muslims to make the most of our mornings in this blessed month, which are unfortunately spent sleeping in most parts of the Muslim world. It was a wonderful opportunity to witness the barakah of Ramadan: we felt no hunger, no lethargy, and actually ate much lesser than we normally do even after spending the whole morning cleaning, organizing and conducting a 5-hour long workshop. This was also a self-check for us as volunteers to reflect on our own goals and attitudes, and help others discover how they can serve Allah’s cause and work towards positive change in the environment they live in. 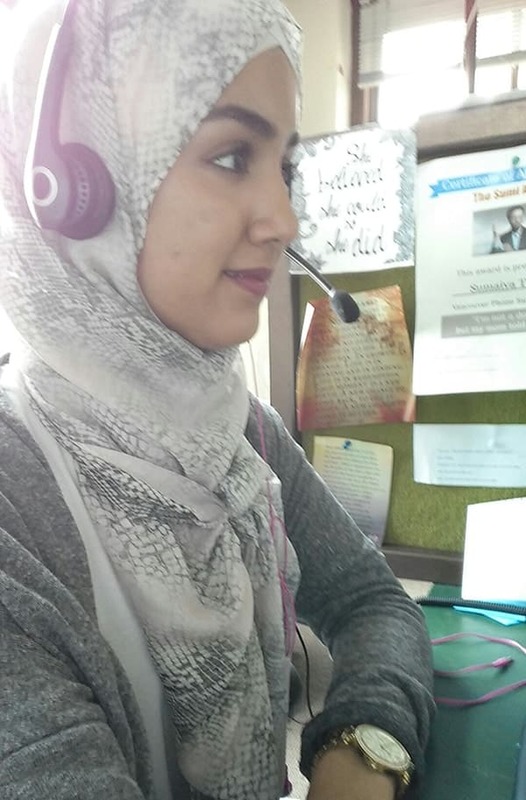 I’m part of the ADeen team – a sisterhood based in Bangalore, India that works to empower and strengthen the Ummah through talks, activities, weekly Qur’an circles, annual events and charity projects. 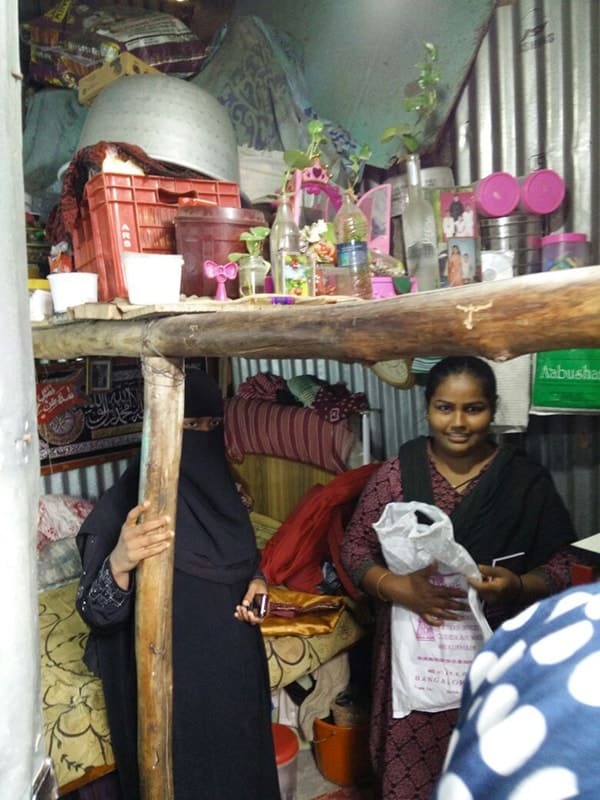 This project aims to provide financial assistance to educate underprivileged Indian Muslims who have the lowest literacy rates among all religious communities in the country, recording a negative growth of 2% in literacy. We launched the education project in Ramadan considering the number of people who began approaching us for financial assistance for the education of their children: these people include drivers, maids, painters, carpenters, security guards, and the like who live hand to mouth and are desperately seeking to give their children a better future. We prioritize the children of house maids, abandoned women and widows, and orphaned children as they are most in need of educational assistance. We start off with finding those who need financial aid to continue in school, then collect funds for them and hand them the amount in exchange for their verification documents and details. Professional members of the ADeen team also provide guidance on government grants and scholarships that our recipients can avail under the funds allocated for the minorities in the state. We have procured the forms from the local authorities and guide eligible candidates on the submission of these forms before the deadlines. Project Happiness is an attempt to donate, inspire and spread happiness amongst families who are in dire need of basic food supplies. 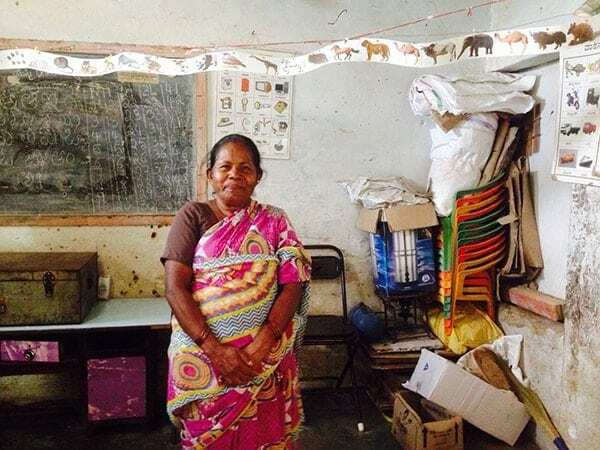 In association with another initiative called Project Smile, this project is entirely focused on delivering food supplies to the homes of families living in the slums of Bangalore. 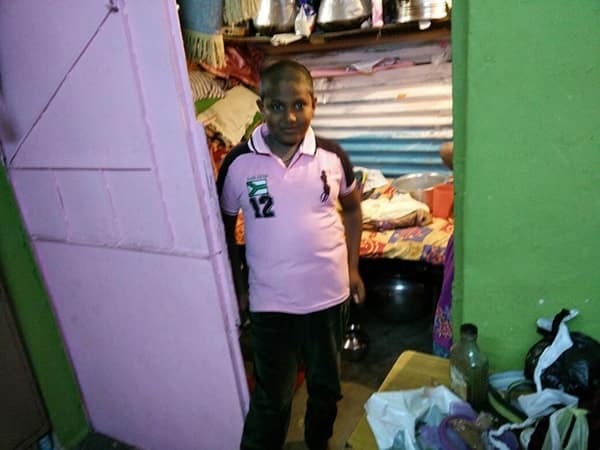 Alhamdulillah, in the past two weeks Project Happiness has been able to touch the lives of widows, handicapped families, abandoned children and orphans. We at ADeen truly believe in the power of dedication towards a cause. We encourage young Muslims world over to identify the most pressing needs of their community and believe that with sincerity in intention and effort, anyone can make a tremendous difference. When we start walking on the Allah’s path and want to make a difference in our own lives by touching the lives of others, Allah will open doors beyond our imagination. And that is when true happiness begins! And finally, the submission that had it all: planning, hardwork, consistency, excellence, teamwork, diversity, scale and a whole lot of creativity! We are the founders of ‘The GOODness Movement’ which is led by families inspiring one good deed at a time. For the past four years, we have been doing something called “30 Days of Ramadan GOODness’ where my family and friends take part in one good deed every day of Ramadan! This year, we have so many more people taking part in this movement (even from other countries), and the movement is growing everyday! Some good deeds are big and others are small, but they all intend to spread some smiles and ‘GOODness’ all around! This is a family driven movement, and kids take a leading role in planning and implementing the GOOD deeds we do. Check out our Facebook page – The GOODness Movement. 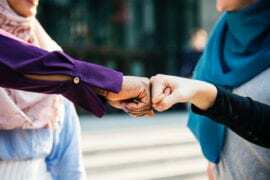 Our goal was to find out just how productive ordinary Muslims can be in Ramadan, and if what we’re doing world over really has the power to change the narrative about our ummah. The incredible ideas, intentions and effort behind each of these stories prove what a truly amazing ummah we’re part of, Alhamdulillah! 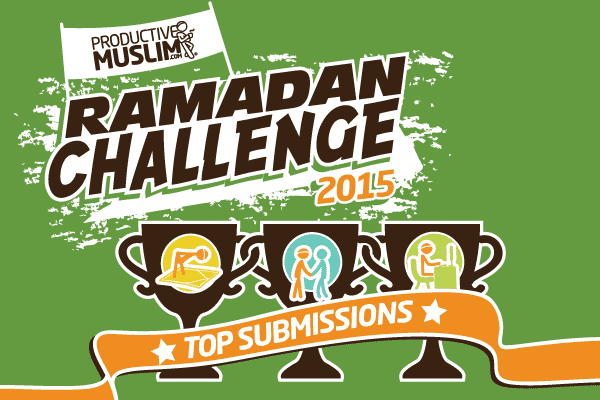 Jazakumullah khayr to everyone who participated in the ProductiveMuslim Ramadan Challenge 2015: may Allah accept your deeds and continue to make them a source of inspiration and benefit to the entire world, aameen! Which story inspired you the most? Tell us in a comment below!